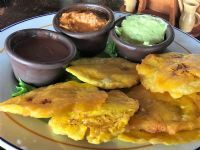 It’s true that most of your time in Costa Rica should be spent outdoors, exploring my beautiful home country, but that doesn’t mean you can’t have some fun indoors too! Costa Rica has so many hotels for tourists to visit, and as the most traveled frog in the land, I’ve been to them all. One of my favorite things to do at the hotels is, of course, to hang out by the pools. I know, I know, you’re wondering why I would want to be in the pool at the hotel when the ocean is so close by. Well, a hotel pool can be great for a lot of reason (besides the swim­up bar!). The pools offer nice decks, comfortable chairs, and in many cases, restaurants. You can hang by the pool while you eat your meal. The pool is also a great place to kick back and relax in the evening after a long day. If you still don’t love the idea of hanging by the hotel pool in Costa Rica, read my overview of the best hotel pools in Costa Rica and see if I can change your mind. 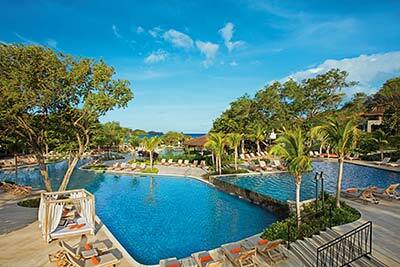 The JW Marriott is in Guanacaste, close to the Daniel Oduber International Airport. The hotel is easy to get to and offers wonderful amenities for guests, including the on­site pool. This hotel pool is a special treat too, since it is the biggest one in Central America. While the hotel is on the shore, the pool gives the ocean a run for its money. The pool edges go right into the sand, and you can watch the ocean waves while you relax in the still waters. 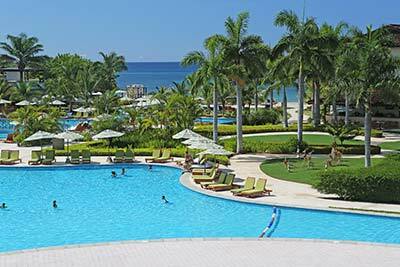 The pool is surrounded by palm­tree lined decks littered with sunbathing chairs and shading umbrellas. Some rooms have pool views, and some rooms have pool access right out their balcony doors. The hotel itself has a nearly 5­star review rating, and also offers a golf course, on­site dining and a tranquil spa for its guests to enjoy. 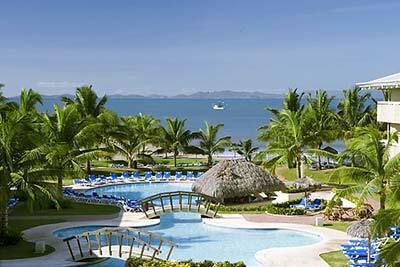 Croc’s Casino is located in Jaco, a popular city in North Puntarenas. 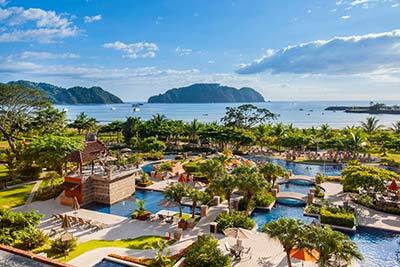 While this area might be home to one of the most popular beaches in Costa Rica, the resort’s five­star pool is nothing to pass over. The pool spans a massive area on the hotel property, and includes hot tubs. Even if you don’t want to get in the water, the area is a sight to see. Take a few minutes to walk around the water, including the two bridges that are built in the deck! If you are going to swim, don’t be scared of the croc in the water, he’s just a painting! The pool area also features a poolside bar, which makes it a hotspot for evening entertainment. Whether you relax at this luxury hotel’s pools during the daytime or nighttime, you are sure to have a good time. 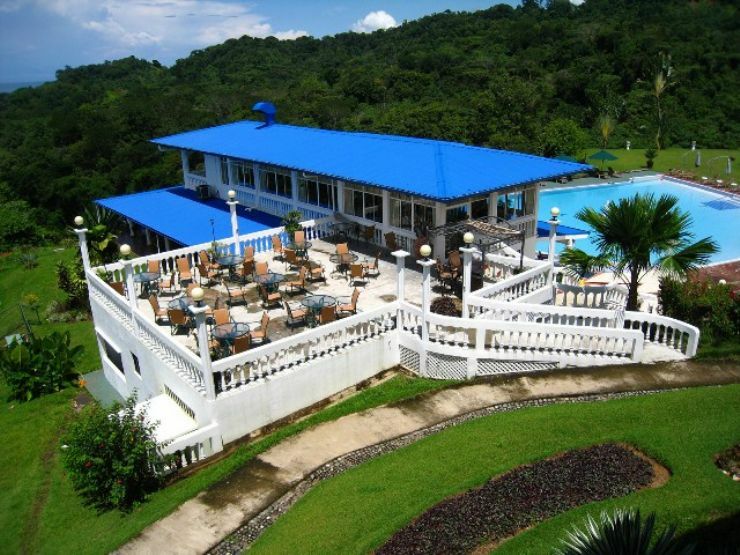 The Royal Corin is located near the Arenal Volcano in La Fortuna, Alajuela. What I love about this location is that they offer thermal water in the pools. The pool area is expansive, and feels like a special location for all visitors. The hotel rooms open into the pool area, which features three separate hot springs. 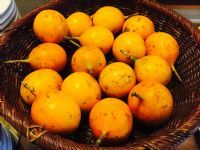 Each hot spring is a different temperature, so guests can choose which is the most appealing and comfortable for them. The thermal water pool area also features four Jacuzzis and a small river, also with thermal water. The beautiful grounds are even more impressive with awesome views of warm waterfalls, which hide the natural saunas. I always feel instantly relaxed when I visit this hotel! If for some reason you aren’t able to relax at the waters, you can always visit the spa for the superstar treatment. I recommend getting one of the rooms with the volcano view when you stay at Royal Corin. 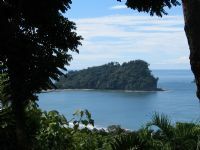 The Hotel Parador is located near Quepos, in Manuel Antonio. 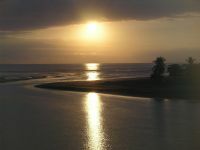 This is on the Central Pacific coast in Costa Rica, and it is a beautiful area. The area is easily accessible by way of San Jose. The hotel overlooks the ocean, but that isn’t a reason to bypass their arrangement of pools on-site. The property boasts a total of three pools, all filled with clear, glorious water and overlooking the vast Pacific. There is one family pool that also includes a swim­up bar and a restaurant on the terrace. The other two bars are for adults­only. This is a great way to offer fun for all kinds of travelers, including those with and without their families. The water areas themselves are so serene! They feature waterfalls and fountains that are sure to impress visitors of any age. There are also plenty of chairs on the deck for those looking to lounge. 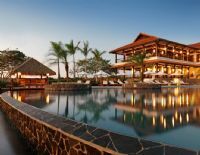 Cristal Ballena hotel is located in Uvita, Costa Rica, and I am always happy to find myself here, enjoy the pool and the blue skies. When I’m not at the nearby ocean, you can find me with a plate of delicious food, dining by the pool. The rooms at the Cristal Ballena have great views of the surrounding area, and of the beautiful pool. There are plenty of chairs to lounge in, and umbrellas to keep you shaded from the heat of the sun. I have found that I love to hang out on the deck and watch the sun set in the evenings! They light the pool up with colored lights at night, adding even more beauty to the area. 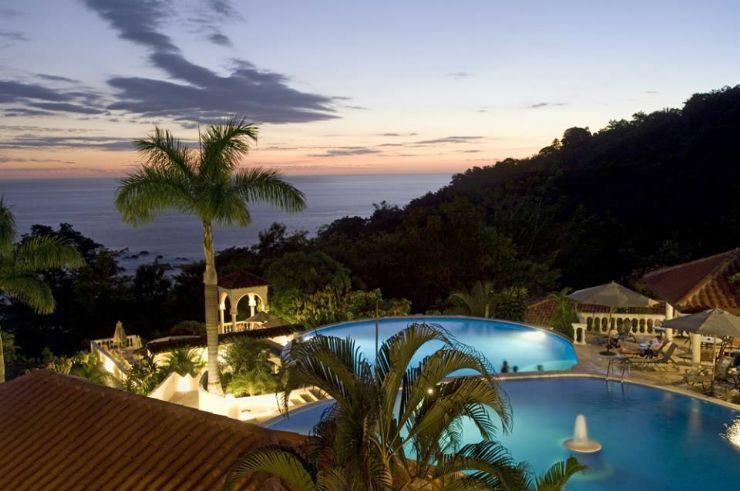 Well, I hope that you are feeling inspired to check out the amazing pools that the hotels in Costa Rica have to offer. I can’t pick my favorite, so I think I’ll just go visit them all again!